As boomers age, they will represent a huge block of potential customers for innovative entrepreneurs who can supply the right services and products. Here are fifteen senior-related, home-based business ideas that may have you finding riches in these boomers’ golden years. *Please note: Professional associations are primarily networking organizations and usually do not offer start-up information. Include a business-sized, self-addressed, stamped envelope with any written correspondence. Seniors often overpay medical bills; because they do not understand the insurance labyrinth involved in the filing and tracking of insurance claims that accompany accidents and illnesses. Medical claims assistants examine and compare their clients’ medical records with medical bills to ensure their clients are charged correctly. These professionals sometimes work as advocates to overturn decisions denying clients’ claims. Health care providers also hire medical claims assistants to check if they have billed for all the services they provided. Success Tips: You need a current knowledge of medical terminology, the regulations and procedures of Medicare, and private insurances. Your business will come from the referrals from satisfied clients; marketing your services directly to small medical offices, hospitals, senior centers; and networking with lawyers, bankers, accountants, and other professionals whose clients may need your expertise. *Association of Claims Assistance Professionals (ACAP), email: capinfo@claims.org. *Understanding Health Insurance: A Guide to Billing and Reimbursement by Jo Ann C. Rowell, Michelle A. Green, 2005. Senior care consultants are nurses, social workers, gerontologists, and other professionals with the credentials and experience in elder care and aging matters. They provide seniors, their adult children, or caregivers with information and recommendations for long-term health-care and living arrangements that best suit their clients’ needs, finances, and preferences. They help ensure their clients will have an on-going, optimum quality of life. 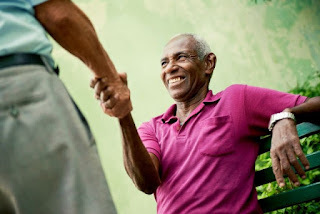 Success Tips: You should possess the qualifications, the understanding of elders’ needs, and a familiarity with community services and agencies for the aging, including knowing how to negotiate around the often-existing “red tape barriers” to obtain services for your clients. Business will primarily be from referrals from satisfied clients and the personnel of the social service agencies with which you will be working. *Aging Life Care Association, 3275 W. Ina Road, Suite 130, Tucson, AZ 85741-2198. *Complete Eldercare Planner: Where to Start, Which Questions to Ask, and How to Find Help, rev. ed. by Joy Loverde. *Long-Term Care: How to Plan and Pay for It by Joseph L. Matthews. With age, people often develop medical and physical conditions, such as diabetes, heart disease, and other serious health concerns that require them to follow specific diets. Nutritional consultants educate their clients about the food and meal-planning regimens they need to follow while coordinating their efforts with the clients’ caregivers and their health care professionals’ recommendations. Success Tips: Certification and licensing is required in most states for this profession. As a consultant, you can market your expertise by teaching classes, leading seminars at health fairs; writing articles; speaking to area organizations and seeking referrals from visiting nurses associations, hospice programs, and local health and aging departments. *Academy of Nutrition and Dietetics. *The American Dietetic Association’s Complete Food & Nutrition Guide by Roberta Larson Duyff. With the existence of in-home (non-medical) services that assist their clients with cleaning, shopping, running errands, and transportation, many retirees are opting to stay and live independently in their homes or apartments. In-home care specialists work with social services, family members or guardians to develop individualized programs to best manage and monitor their clients’ daily needs. Success Tips: Education, training, and previous work experience with older populations is essential. Survey your community and potential clients to determine what types of non-medical services are most-needed. You can build a list of clients to personally assist on a regular or on an as-needed basis; or you can hire and direct other qualified caregivers. Check for local or state regulations and certifications you may be required to have. *In-Home Care for Senior Citizens: A Bedside Companion by Shirley M. Baker-Davis. Seniors are often overwhelmed by the day-to-day money-managing tasks due to age-related disabilities or illness, or because of the death of a spouse — especially if it was the one who primarily managed a couple’s expenses. Daily money-managers supervise clients’ bill-paying tasks, balance their checkbooks, sort mail, and refer their clients to professionals such as accountants or tax preparers, when needed. Managers will also help their clients keep track of their scheduled appointments and engagements. Success Tips: You will need money-management skills, and to develop a trustworthy reputation to build up a clientele that you will visit on a regular basis. Market your services to seniors and their adult children, as well as to bankers, financial planners, and others involved in managing the finances of older adults. Due to failing eyesight or loss of manual dexterity, seniors need experienced sewers to help them with a variety of sewing needs. If you are skilled with a needle, you may be hired to do everything from alterations, sewing on buttons or zippers, creating window treatments and upholstering furniture, to sewing wedding dresses or christening gowns for grandchildren. You may also be asked to alter and adapt clothing for your clients’ special medical conditions and surgeries. **Note that home sewing of some garments is illegal. Check with the U. S. Department of Labor to learn about existing laws, www.dol.gov/. Success Tips: Start by offering general sewing services to give you time to find the most profitable sewing niche for you. Market your services to the managers and directors of retirement and assisted-living communities to supply their residents’ sewing needs. Hand out business cards for future referrals. *Association of Sewing and Design Professionals. *Business of Sewing: How to Start, Maintain and Achieve Success by Barbara Wright Sykes, 2004. Many seniors or their adult children will gladly pay someone to do simple household jobs like painting and wallpapering, installing shelves and household fixtures, replacing windowpanes, and other simple tasks they do not have the time or no longer the ability to complete. Vocational schools often offer general home-maintenance courses if you need to brush-up your “fix-it” skills for small repairs and installations. Success Tips: Older adults are wary of whom they allow in their homes. The entrepreneurs in this business who develop confidence and trust with their customers will receive much of their business through word-of-mouth referrals. Most professional handy-persons have more business than they can handle. *Handyman’s Handbook: The Complete Guide to Starting and Running a Successful Business by David Koenigsberg. *Start & Run a Handyman Business by Sarah White and Kevin Pegg. As people grow older, they realize the importance of planning a financially sound future. Financial planners assist clients in estate planning, choosing wise investments, constructing budgets, and preparing money-management strategies that will enable their clients to live comfortably in their retirement years. Success Tips: Most financial consultants/planners are certified (SEE FPA), and obtain client leads from the referrals of acquaintances, satisfied clients and from professionals like accountants, bankers, and lawyers. You can educate and attract potential clients by conducting community seminars and speaking to local organizations. *The Financial Planning Association (FPA). *Getting Started in Financial Consulting by Edward J. Stone, Tanya Stone, 2004. *Retire on Less Than You Think by Fred Brock, 2004. Many people in their fifties and sixties who do not want to retire to “play” want try their hand at entrepreneurship, but have no idea where to start. If you have the credentials and/or the experience in operating a successful home-based or small business, you might consider assisting others in choosing a home venture that matches their skills and has a profitable potential. Success Tips: Teaching startup business courses at local schools and colleges and writing business articles will help promote your image as a home-business expert. Clients will need your recommendations for creating business plans, financing options, market research and planning, and office set-up tips. They will also need your referrals to additional agencies and professionals with whom they will need to consult for their businesses’ operations. *U. S. Small Business Administration’s Small Business Development Centers (SBDCs), www.sba.gov/SBDC. *Best Home Businesses for People 50+ by Paul & Sarah Edwards, 2004. Seniors who cannot drive, and their busy “sandwich” generation children who are stressed for time, are paying for the delivery of everything from milk, food and meals, clothing and dry cleaning, to personal and household purchases. You may find markets for specialized services such as transporting pets to and from veterinarian and grooming appointments. One former business executive quit his job and re-established a successful milk and dairy delivery service for customers in his urban neighborhood. Success Tips: Research your areas to evaluate what delivery “niches” are needed, and start with a dependable truck, van, or trailer. You can offer general transport services or specialize. A well-written press release announcing your business’s launch as well as inexpensive ads in local classified-only papers are effective methods in reaching potential customers. Leave your business cards at small and discount retailers, senior citizens housing and centers, and post on public bulletin boards. *PaloAlto Business Plan Software: BusinessPlan Pro – with 500 sample business plans, including two delivery-type businesses. *Legacy Marketing’s Small Business Start-up Guides, including errand business; meal delivery business. Many seniors participate in senior games and sports for fun and to reap the health benefits. Some individuals exercise to improve medical conditions or as part of rehabilitative programs to help them maintain their regimens and remain injury-free. Fitness experts work with senior’s physicians and therapists to develop ongoing programs of strength, conditioning, flexibility, and balance to enable their clients to stay physically fit and active for as long as possible. Success Tips: You should have a background in health and fitness, a certification, or a degree in this field. Of course, your clients need to have their doctors’ permission before starting any exercise program. Many exercise consultants also teach swimming, yoga, walking, dancing, and other lifetime sports and activities at local senior centers, schools, and community organizations. *Weightlifting: 20 Benefits for Mind and Body. *Strength Training Over 50: Stay Fit and Fabulous by D. Cristine Caivano, 2005. Numerous mature adults, who were previously resistance to learning computer technology, change their minds when they or their families move away and realize that it is one of the best ways to keep in contact with their children, grandchildren and friends. As a computer consultant, you will be hired to teach basic and advance skills, select computer systems, and make home visits for computer set-ups and trouble-shooting. Success Tips: Expertise, patience, communication teaching skills, as well as your timely availability must be combined with good customer service for business success. Teaching courses, writing a Q & A column in retirement community newsletters, joining your local business owners’ organization and encouraging word-of-mouth referrals should give you all the business you can handle. *Windows XP for Seniors: For Senior Citizens Who Want to Start Using the Internet by Addo Stuur. People need antiques and collectibles appraised for insurance coverage, when they are moving or settling estates, or wish to liquidate some of their prized possessions. They require honest evaluations of their items and recommendations on where to sell their items for the best possible prices. Success Tips: Become an expert in the antiques you appraise by enrolling in courses, visiting museums and studying public collections. It is especially important to learn how to detect imitations. Know how to communicate well, because you will do much writing and talking to people. Market your services by exhibiting at antique shows, writing columns, giving community talks and encouraging referrals from auctions houses and clients. Join an appraisal association for networking and referral opportunities, and to stay current with trends and markets. *Antique Appraisal Association of America. *Kovels’ Antiques and Collectibles Price List, 38th ed. by Ralph and Terry Kovel, 2005. With scores of mature adults selling their larger homes and moving to smaller residences and/or retirement communities, they may not have the time or capability to install or revamp garden spaces. Many, however, still wish to pursue their gardening activities, and/or need routine lawn and garden care and continued property maintenance when they traveling. You might also offer to establish specialized gardens like those friendly to pets, or those accessible to individuals with disabilities. Success Tips: Promote business by leading workshops at garden centers, speaking to garden clubs and to residents of retirement communities. Write columns in seniors’ newsletters, posting temporary business signs at your job sites and encourage referrals from satisfied customers. *How to Start a Home-Based Landscaping Business, 4th ed. by Owen E. Dell, 2005. *Lawn Care and Gardening: A Down-to-Earth Guide to the Business by Mickey Willis, Kevin Rossi. *Accessible Gardening: Tips and Techniques for Seniors and the Disabled by Joann Woy. As people grow older, some wish to leave a legacy of memories to loved ones or for public record about the experiences and accomplishments of their lives. In this service, you would record, transcribe and write and/or videotape clients’ memoirs as they are told to you. Success Tips: This can be a fascinating business as you hear individuals’ accounts of events in their past and how they relate to events in the world’s history. Patience, being nonjudgmental would be required of you, personally. Market your services with talks to local historical societies, and senior citizen groups.